So as long as we have been a band, we’ve always talked about how cool it would be to play 924 Gilman Street in Berkeley. 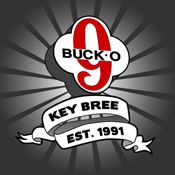 When we were just starting to spread our wings and tour in the early 90’s, we were enamored by bands like Op Ivy, Green Day and Crimpshine. Those guys were trailblazers and all played at 924 Gilman Street. Although we played many a show in Berkeley and recorded an album in Berkeley, for whatever reason, we never played at 924 Gilman Street. 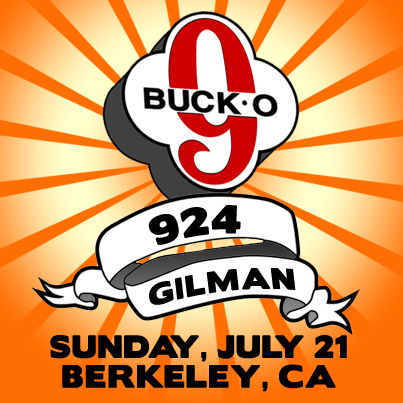 So here we are 20 years later and we are super stoked to announce that we are playing 924 Gilman Street on Sunday, July 21. Also playing that night: Jokes For Feelings, Imposters (SF), Skandalism, and Defunked (Riverside). See you then! Previous PostJuly 20 Buck-O-Nine in ModestoNext PostHoodoo Voodoo We-Doo!